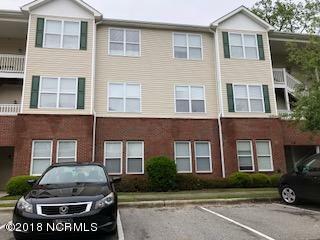 Tenant in place until 06/30/2019.Coming home is a delight when you enter this lovely open unit with a fireplace! Separate dining are with exit to the covered deck. Master suite has a separate shower and a whirlpool tub, ample space, good closet. Kitchen comes with refrigerator, microwave, range, dishwasher. Washer and Dryer! SHOWING NEED TO BE SCHEDULED BEFORE 4PM FOR THE NEXT DAY!!! FOR MONDAY SHOWING PLEASE SCHEDULE BEFORE SATURDAY AT 2PM. Listing provided courtesy of Nick Joseph of Cape Cottages Realty Llc.